15k (see course map), 5K, and Elementary 1 Mile on the track. Both races will be finishing in the same shute. Both races will start and finish at Phoenix High School on the track behind the building. This event is a fundraiser to help the Phoenix High School Track and Field team raise money to help pay for meet entry fees, purchase new throwing implements and jumping equipment, and aid in resurfacing our track. 15K – This course gives you a chance to run the back roads of Phoenix, take in some amazing sights, and conquer some gnarly hills. 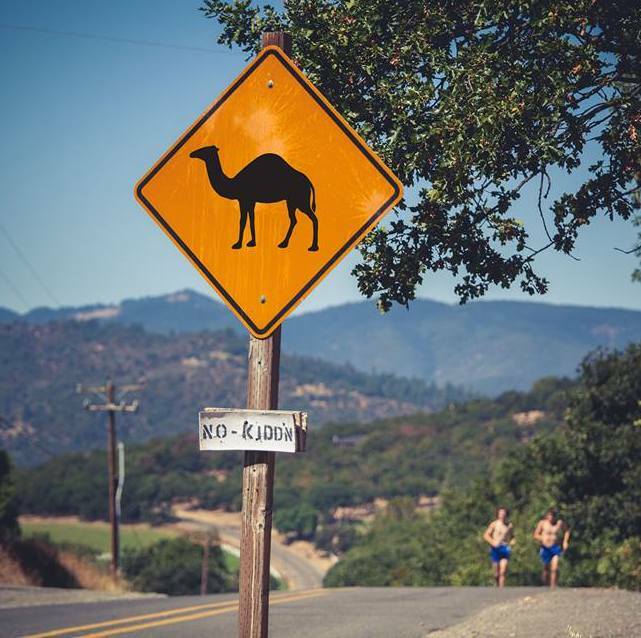 5K – This out-and-back turns around at what Phoenix runners know as “The Fountain” on Camp Baker Road. Men and Women: 14 and under, 15-19, 20-29, 30-39, 40-49, 50-59, 60-69 and 70 and over. 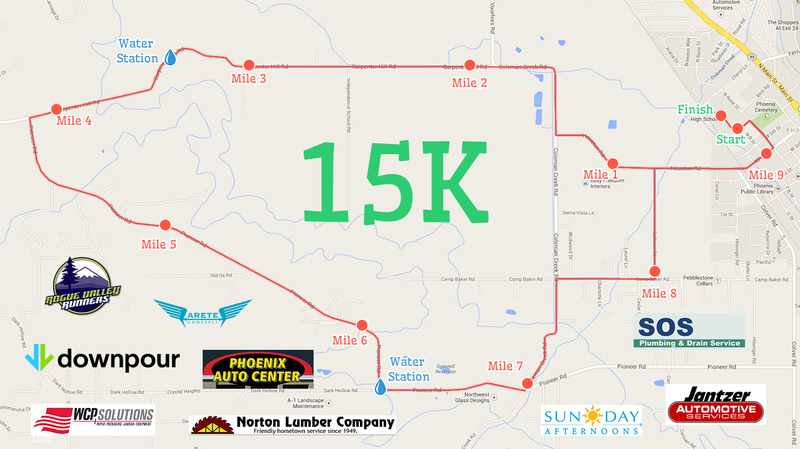 The 15K race course is on a classic running route that is known to Phoenix distance runners as “Camelback”. The route got it’s name for the massive hill around the middle of the run. You’ll be running out through the backroads in Phoenix, passing several orchards, farms, and beautiful, wide-open country. The 15K course climbs over 420 ft.